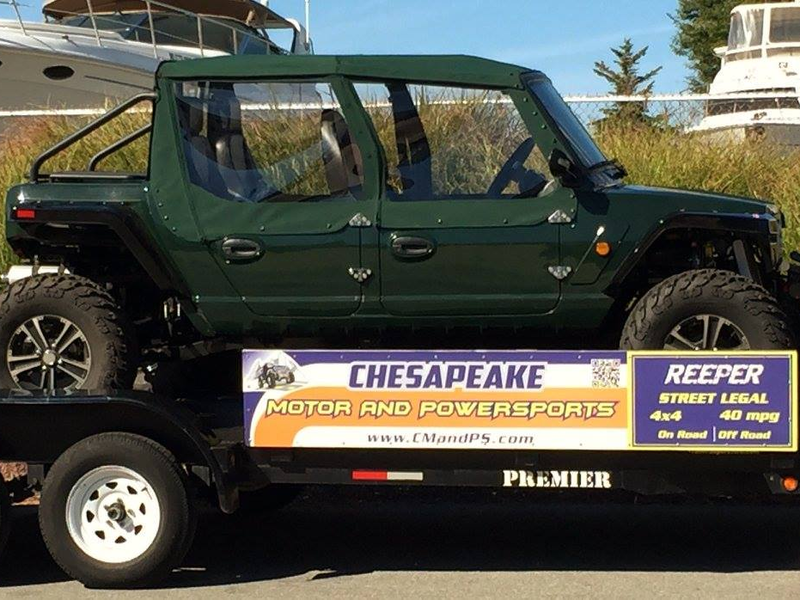 Custom Canvas Coverings – Protect Your Investment! 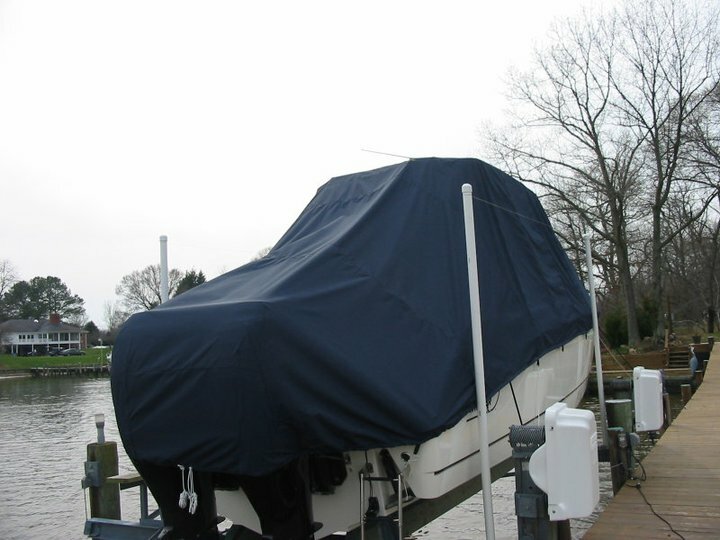 Would you like to extend your boating season? Have more protection from the sun, rain and even bugs? Let us create for you a custom designed glass or screen (or both!) 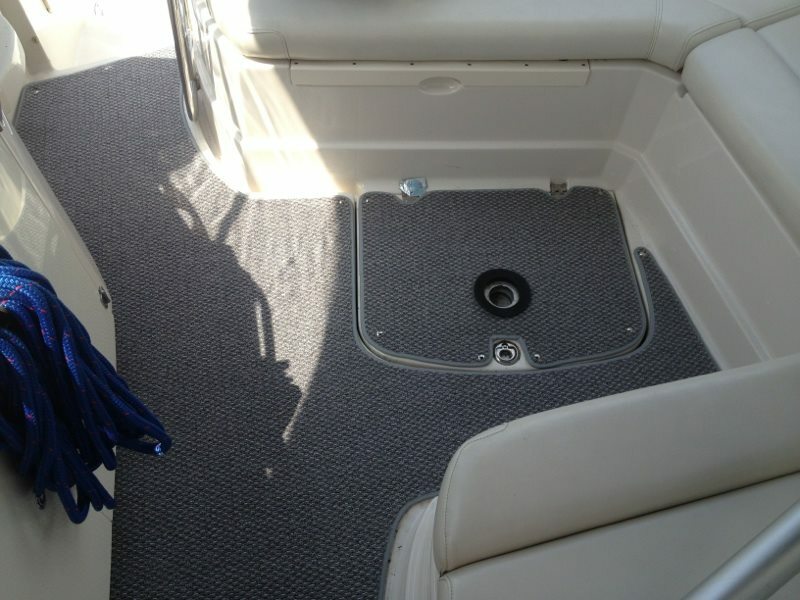 enclosure that meets every need or want you might have to make boating pleasurable for you and your family. Do you keep your boat on a trailer between uses and find it tedious to have to clean out leaves and other debris each time before launching? A cockpit cover might be the solution to that problem. These covers are not just for winter! Does your carpet stick to the floor? Does it take ‘forever’ to dry? Does it look dirty and stained in spite of how much you clean it? Let us add style and function to your cockpit with this new, fast drying, low maintenance and easy to clean carpet. Are you tired of bugs biting you while you are enjoying a later evening cruise? 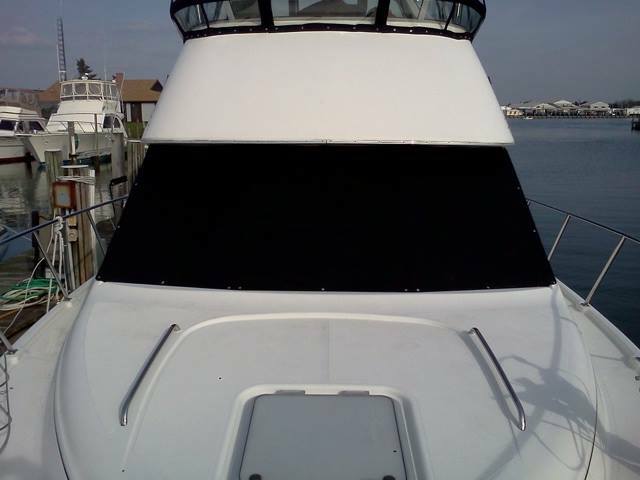 We can make you a FULL screened enclosure to keep the bugs away. Does the sun turn your cockpit into a sauna? Let us install a privacy curtain to block out 70-90% of the sun’s rays. Do you need to protect your dogs or children from falling down steps or over the edge of the fly bridge? We can make a netting to keep them safe. Are your cushions ‘bottomed out’? Cracked and split? Sun-faded or stained? Are you ready for a fresh new look? Let us make your cockpit or interior cushions look and feel like new! 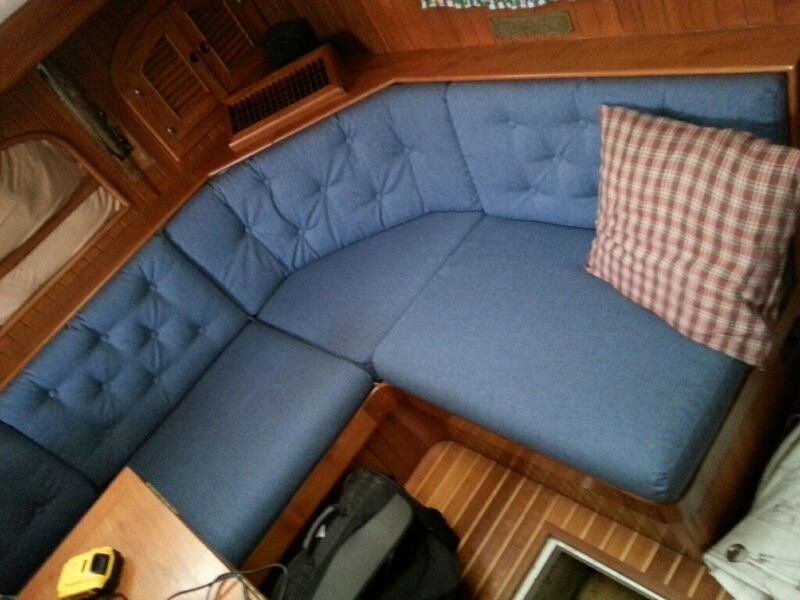 We can match or redesign your existing upholstery. We can also rebuild your seats completely using new wood, foam and vinyl/canvas. There are many other items that can be either enhanced or protected by a custom-fit canvas cover. 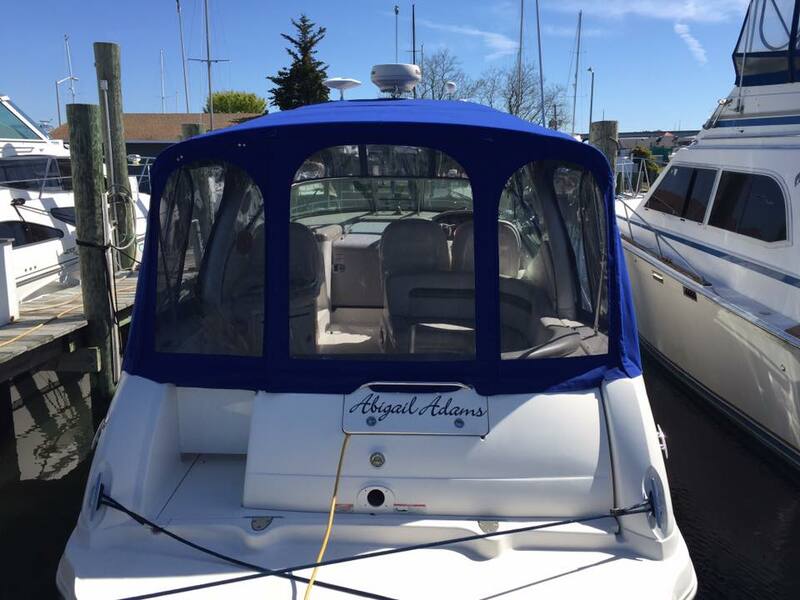 Some of our more popular projects have included backyard grill covers, outdoor tiki bars, outdoor furniture covers, car or motorcycle covers, roof vent covers, patio awnings and even Jeep tops. We have enclosed screened porches with glass panels to extend the use of outdoor seasonal rooms. 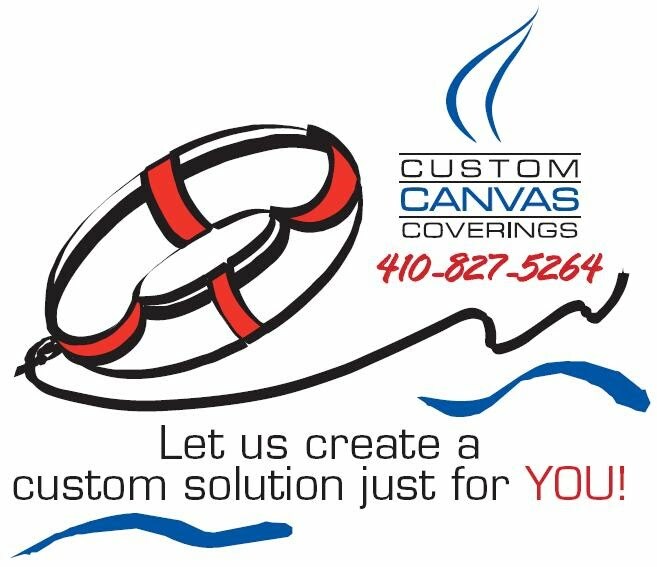 Since the inception of Custom Canvas Coverings, Inc., Stephanie, the owner and founder, has prided herself on being honest and competitive. She insists on the same characteristics in each of her employees. All consideration is taken to keep each customer aware of cost issues, scheduling needs or any other factors that might affect the finished project.